Welcome to our main gardening page where we set out many types of flowers and plants. From here you can access so many plant and flower varieties that this really is your one-stop-shop. The starting point is our main sections where we categorize by perennials, annuals, shrubs, cacti, succulents, ornamental grasses and bonsai trees. These are plants which live for more than two years. They bloom during the spring and summer and die back during the autumns and winters. During spring, they come back again from their rootstock. Sometimes they can be short-lived. Perennials are inclusive of a variety of plants groups such as ferns, liverworts, and flowering plants like grasses and orchids. Most perennials produce flowers over many seasons during their lifetime and are thus iteroparous. Perennials do not seed. Instead, they have vegetative reproduction which allows them to grow structures such as tubers, bulbs, rhizomes and woody crowns. These characteristics help them to adapt to living over many years and enable them to survive severe climatic and environmental conditions. The specialized stems and crowns allow them to get through dormancy during the cold seasons and dry seasons. They produce large seeds to facilitate competition with other plants. Perennials grow continuously in warm climates. They are not susceptible to wildfire as a result of their roots being protected underground in the soil layer. There are evergreen perennials which retain their foliage throughout the year and herbaceous perennials which are tolerant to freezing temperatures. Deciduous perennials, monocarpic perennials, and woody perennials are among different types of perennials. Annuals are those plants which live for a year within which they finish their life cycle from germination to production of seeds. Depending on the season they live, there are summer annuals and winter annuals. Summer annuals germinate (sprout, flower) during spring or early summer and mature (produce seed and die) by autumn while winter annuals, germinate during the autumn and mature during spring. Shrubs are small to medium-sized woody plants which have persistent woody stems. They may be deciduous or evergreen and are under 6m tall and have multiple stems. Shrubs are regarded as plants with broad leaves, but there are some that are shrubby such as mountain pine and common juniper. Shrubs are classified differently depending on their structural forms. As such, there are dense foliage, mid-dense foliage, sparse foliage, and very sparse foliage cover shrubs for shrubs between 2-8 meters high. For shrubs less than 2 meters high, the classification is dense foliage, mid-dense foliage, sparse foliage, and very sparse foliage cover shrubs. These are plants which live in extremely dry environments which are subject to drought. Cacti have various adaptations to retain and conserve water as a result of the environments they grow in. Most cacti have thickened and fleshy parts for this purpose, they are referred to as succulents. The cacti stem differ from other succulents because this is the only place where water is retained. Many cacti have spines in place of leaves. These spines are highly modified leaves which in addition to conserving water through the reduction of water loss, they defend the plant against herbivores and camouflage in some species. They also provide some shade to the plant which lowers the surface temperature of the plant while conserving water. The stem is where photosynthesis takes place in cacti plants. These plants have short growing seasons and long dormancy. The stem of a cactus is fluted to allow it to contract and expand easily to absorb any rainwater. The stems of cacti plants are some shade of green, bluish or brownish green to enable carry out photosynthesis as these stems contain chlorophyll. Some cacti have globe-shaped stems which help in increasing the volume of water storage by having the most minimal surface area for transpiration. Some of the uses of cacti plants are for ornaments, and others are grown for forage and others for their fruits which can be consumed as food. They react quickly to rainfall as a result of their extensive, shallow roots which absorb any water reaching the ground very fast. Their roots are spread out widely and penetrate only a little in the soil. These are plants which are more thickened and fleshier than normal as a result of their water-storing tissues. This is an adaptation to retain water in arid conditions — succulents store water in leaves and stems. These plants are resistant to drought. They are adapted to survive in steppes, semi-deserts, and deserts as well as climates with high temperatures and low precipitation. They can also be found in sea coasts and dry lakes that have had exposure to high levels of dissolved minerals that may be dangerous to other plants. They have underground organs such as bulbs, corms, and tubers which have these water-storing tissues. They have other features to enable them to retain and conserve water such as a reduced stoma, absent or reduced leaves, crassulacean acid metabolism, and mucilaginous substances among others. These are monocotyledonous plants with narrow leaves and parallel leaves. Most ornamental grasses are herbaceous perennials, they come up in spring from their roots and go dormant in fall. Others such as bamboos are evergreen while some have woody tissues. Ornamental grasses include sedges, restios, cat-tails and rushes with a striking linear form, color texture, motion and sound to the garden all year. Some ornamental grasses are bunch grasses and tussock grasses while others make up extensive systems of multiply branched rhizomes. Bamboo has been around for 30 to 50 million years. It’s a resilient plant. In fact, it’s a perennial evergreen plant (not a tree). There are 2 main types (Clumper and Runner). While there are 1,000+ species, we set out the 10 most common types via the link above. They can be invasive, but also used intentionally in gardens, indoors and in planters. These are trees that are grown out of the techniques of pinching buds and wiring branches. They are not genetically dwarfed plants as gardeners use fertilizers to redirect their healthy growth to create a realistic depiction of nature. A more specific way to look for flowers is to check out the sub-types of specific flowers. Below we showcase and provide access to galleries that set out and explain many different flower options for specific flowers. This is an evergreen perennial. It grows in tropical climates and is grown for both medicinal and agricultural reasons as well for decorative purposes. Aloe Vera plant can be grown indoors as a potted plant. The flowers of Aloe Vera are produced in summer on a spike up to 90cm tall. The flowers are pendulous and have a yellow tubular corolla. This plant can survive in areas of low natural rainfall which makes it suitable for rockeries and other low water garden use. Aloe Vera is not tolerant of snow or heavy frost, but it is resistant to most insect pests. It requires well-drained sandy potting soil to grow together with sunny conditions. This flower grows in well-drained soil. It is planted in full sun or partial shade. Alstroemeria blooms during early spring to late summer seasons. It is found in arrangements that are floral. It also has various colors which make it preferable for making dyes. These flowers can be grown indoors or outdoors as they are the easiest to grow. They grow well in partial shade and in soil that is well drained. Amaryllis flower does well in early spring to mid-summer. In order to get more flowers, large bulbs should be planted. Amaryllis flowers come in various colors. Another name for anemone is windflower. This type of flower blooms during mid spring to mid fall when they produce poppy-like blooms. It doesn’t do well in summer droughts, high winds, and overly wet winters. It includes 120 species of flowers with the most common types being found in North America. The conditions for the anemone to grow are in full sun or part shade. The best soil for this flower to bloom is moist but well-drained soil. They come in white, violet or pink hues. This flower blooms in late spring to early falls. It is during this time that most perennials have faded. Asters should be planted in sunny areas with moist and well-drained soils. These flowers are available in a variety of colors such as pink, red, purple, indigo, lavender, blue and white and range from flowers which skim the ground to flowers as tall as 6 feet high. These flowers are often called ‘the royalty of the garden.’ They are known for their unique colors and foliage. Azaleas need little maintenance, and they make a beautiful bouquet. They require partial shade and well-drained soil to grow. Azaleas bloom in the spring season. These flowers do well in different conditions making it a timeless favorite among people. They can be found in different shapes, sizes as well as colors. Begonias grow in well-drained soil and should be subjected to full sun or partial shade. They bloom in late spring to early fall and are deer resistant. Also known as genus Campanula, bellflowers belong to Campanulaceae family. These flowers are bell-shaped, star-shaped, or tubular-shaped, and they come in pretty hues like pink, white, red, blue, or purple. This flower belongs to the sunflower family it is known as the official flower as a result of its Preakness. It blooms in late summer to mid fall. Black-eyed Susan is planted in full sun, and they require well-drained soil to grow. They are also known for attracting butterflies, bees and other beneficial insects. These flowers are heart shaped. They are pink or white in color, and they look beau in gardens. Bleeding Heart Flowers require well drained and damp soil to grow. They do well in partial shade, and they bloom in late spring to early summer. These flowers hang from a long stem and give an exquisite look to your home. Bluebells are a great option for adding color to fields and meadows, but can also fill in flower gardens. Click the link above to discover the 6 main types of bluebell flowers. This is a flower from an evergreen shrub. Camellias flowers are very large and conspicuous with nine petals in naturally occurring species of camellias. These flowers vary in color from shades of white, yellow, pink and red. They are characterized by a dense bouquet of yellow stamens that contrast with the colors of the petals. They grow well in acidic soils that are rich in humus, and some species cannot survive in chalky soils or calcium-rich soils. They are intolerant to drought as they require a lot of water to grow. This flower is grown in gardens and bouquets and is a very popular flower. In a carnation flower, every color stands for a symbol of love or friendship. Carnations are planted in partial shades and in well-drained soils. They bloom in early spring to late summer. Cherry blossoms have a variety of species with the most popular being found in Japan. The flowers do not have a wide range of colors, they varied from pure white and tinged with the palest pink around the stem area. These flowers bloom and fall within a week before the leaves come out, they are short lived. Chrysanthemums are perfect for gardens as they are very colorful; they come in a variety of colors besides yellow. Such as hues of blue, red, pink and white. They should be planted in full sun or in partial shade. Chrysanthemums require well-drained soil to grow. They bloom well in mid-summer to late fall. They are good for cut flowers. This flower attracts butterflies and bees as a result of the variety of colors they have. Coneflowers are native to America, and they bloom in mid-summer to early fall. They are planted in full sun and do well in well-drained soils. Coneflowers are heat and drought tolerant. Crocus flowers are cup-shaped, they do well in full sun or partial shade. They do well in cool weather and bloom in early spring. Crocus flower needs the right amount of sunshine and well-drained soil to grow. It is the earliest growing flower of spring and is non-invasive. This plant comes in a variety of many colors and has one to five flowers in every stem. Daffodils are well known, and it is a representative of spring. It grows in full sun and requires well-drained soil to bloom. Dahlias are popular flowers which have many different colors. They have up to 42 different species. Dahlias grow in full sun, and they require well-drained soil. It is during midsummer and early fall that dahlias bloom. Daisies can be recognized easily and are easy to grow. They bloom in mid-summer to early fall, and they require well-drained soil. Daisies are planted in full sun. Delphiniums are found in long stalks with a variety of colors from pink, blue, white and also purple. This flower is popular among many people. It is planted in full sun and requires well-drained soil to grow. Delphiniums bloom in early summer to early fall. Originating in Europe and Asia, this type of flower offers many colors. Learn a lot more at the link above. This flower, shown above, is an early Spring shrub which looks similar to daffodils. They are yellow with rich green foliage. Click the link above to learn more about this flower. This flower takes relatively two years before its iconic bloom shows. It, however, produces very beautiful flowers despite its difficulty to grow. Foxgloves are planted in all types of sun and require well-drained soil to grow. They bloom in late spring to early summer. Freesias are herbaceous perennial flowering plants that grow from a conical corm. Many species of freesias have fragrant funnel-shaped flowers that are narrow, but there are some species such as Flaxa that have flat flowers. 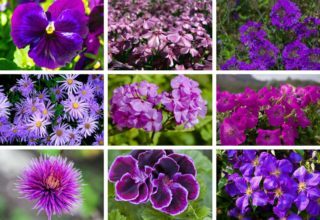 These flowers can be planted in fall, and they come in colors of yellow, pink, blue-mauve and red. This flower is popular among many people as a result of the variety of colors it comes in and because it can grow in areas which are hot. Geraniums are planted in all sun types, and they bloom in early summer to early fall. The right type of soil for geraniums to grow is in well-drained soil although it can handle a wide range of soil types and sun. This flower falls in the genus of the family of sunflowers, asters, and daisies. Gerberas have a long vase life and are thus suitable for decorative purposes. They come in a wide range of colors from deep red, orange, pink, brilliant scarlet, light, and dark yellow. These flowers are not sensitive to light. These flowers have the appearance of single flowers, double, crested doubles, and full crested doubles. They do well in sandy soil. This is a perennial that is recognizable by its tall flower spikes. It blooms in mid-summer and is available in a multitude of colors. Gladiolas should be planted in the spring right after the frost has passed and the soil has warmed. Well-drained soil and full sun are other conditions suitable for its growth. The scientific name for heather is Calluna Vulgaris. They bloom in late summer for plants that are wild and normally purple, but for white-flowered plants then they bloom occasionally. They come in colors such as white, purple, red and pink. They bloom from late July to November in the North, and despite the flowers turning brown, they remain over winter. Also referred to as the winter rose, hellebore flowers are an option for some colorful blooms during the winter season. The genus of hibiscus plants comprises over seven hundred species. They do well in native to warm temperate, tropical and subtropical regions. They are also known as rose mallows and have large, showy flowers. This flower has large foliage and is mostly found in a variety of colors ranging from dark green, white, yellow and blue. It grows under partial shades or full shades and in well-drained soils. Hostas bloom in summers and are non-invasive. Hyacinths produce bulbous-like flowers which come in hues of blue, violet and indigo. They are easy to grow under full sun and in well-drained soils. Hyacinths bloom in mid-summer to early fall and are a non-invasive type of flowers. These are good for container plants and can be grown both indoors and outdoors. They are tolerant to damp soil and shady areas. Impatiens can be found in a variety of colors from violet, orange, red, pink and white. They grow in partial or full shades and in well-drained soils. Impatiens bloom in early summer to early fall. Iris is popular for its gorgeous flowers, and it appears in the color spectrum as depicted from its name which is derived from the Greek word, rainbow. Iris flower has more than 250 species, and it grows in all sun types. In well-drained soil and during early spring to early fall, it flowers best. There are several different types of jasmine flowers, which are known for their fragrance. There are both true and false jasmine flowers. Our article sets out only the true jasmine varieties. Lantana flowers include over 150 types and are part of the verbena species. They are a perennial. Some grow quite tall… up to six feet. The scientific name is Kalmia latifolia. The flowers are round and range from pink to white in color. There are others with shades of pink, red and maroon pigments. Laurels bloom in May and June and are found in rocky slopes and mountainous forest areas. They do well in acidic soils. The flowers on this plant have a very unpleasant smell despite the fact that its oil is used by perfumeries to make colognes and perfumes. Lavender flower can withstand many soil types as well as full sun. It grows in well-drained soil in mid-summer to late summer. The scientific name is Syringa vulgaris. They come in seven colours, and they bloom in late May. They do well in fertile, humus-rich and well-drained soil and under full sun. Lilies have long filaments and prominent, long flowers. They come in a variety of colors such as white, red, pink, orange, purple and also yellow. Some lilies have markings of spots or brush strokes. They are grown indoors and under full sun and require well-drained soil, and they bloom in spring to early fall. They are good for cut flowers, and it is thus advisable to cut their filaments in order to avoid pollen stains. The scientific name is Eustoma grandiflorum. They grow in warm regions and are not easy to grow. They require full sun and well-drained soil but are intolerant to acidic soil. The scientific name is Nelumbo nucifera. Lotus flower is found in white and pink colours, and they grow in shallow and murky waters. They do well in warm sunlight and do not tolerate cold conditions. They come in white, pink or purple flowers which are protogynous. They do well in Central and North America and in West Indies. Marigolds are beautiful, aromatic and very enticing to hummingbirds and butterflies. They are available in shades of red, yellow and orange. Marigolds can be kept inside as they make a very beautiful bouquet. These flowers grow under the full sun, and they require well-drained soils. Marigolds bloom in early summer to mid fall and are good for adding color to the garden. While there are many varieties of Mazus flowers, there are 7 main types that we set out here. A unique feature of morning glory flowers is the unravelling bloom that is seen early in the morning and withers back in the afternoon in the hot sun. These flowers bloom in early summer to early fall. They come in shades of violet, red, blue, pink and white. In some cases, they may have star markings. Morning glory flowers grow under the full sun, and they require well-drained soils. They attract hummingbirds. Orchids are among the two largest flower plant species. They have about 27,800 known species. Orchids come in a variety of colors such as white, red, pink, violet and orange. Among all its species, Phalaenopsis is the one that is grown in gardens. They require well-drained soil to grow. Orchids grow in full sun or under partial shades. They bloom in early spring to early fall, and they have a short lifespan. Pansies are early bloomers. They are a good way to know when spring is about to start as this is when they bloom. Pansies are very friendly and delightful flowers. They come in many shades such as pink, white, violet, blue, red and also yellow. Pansies bloom in spring, and they bloom in bicolor, singles or tricolors. Pansies are tolerant to frost which is a lot during spring. These are perennial flowers which bloom from spring to summer. They are planted in the fall in deep, fertile humus rich, and well-drained soil and in the full sun. Periwinkles are known to last for up to three seasons. They are easily manageable and are also known as the long-lasting plant. Periwinkles produce flowers in a variety of colors from shades of violet, pink or white. In order to maintain the bloom through winter, periwinkles are brought indoors and placed in full sun. They grow under full sun or partial shade, and they require droughty soil to grow. These flowers bloom in mid spring to mid fall and are tolerant of heat. Petunias require very minimum care and can adapt to any climate. As such, they are very recommendable and popular choice to beginner gardeners. They are equally as precious as they are hardy. And can withstand harsh climates. These flowers have a long bloom season and are mostly found in shades of pink, violet or white. Petunias grow under full sun and in well-drained soils. They bloom in early summer to mid-fall. These flowers attract butterflies and hummingbirds. These flowers have a short life span, scientifically known as Euphorbia pulcherrima. They do not do well in a lot of water and require warmth and light to grow. Poppies are well known as a war remembrance flower. In November, us Canadians donate to the Salvation Arm for a red poppy to pin to our clothing in remembrance of those who died in the 1st World War. Red is the most notable color, but the different types come in a variety of colors. These flowers come in many colors from shades of red, yellow, orange, indigo, blue, violet, pink and white. They are mostly grown indoors in containers although they are not meant to be long-lasting houseplants. As such, these flowers have a short lifespan. Poinsettias grow under partial shade and in well-drained soil. They bloom in the spring season and are non-invasive. These flowers are not for all climates. They require well-drained, acidic soil and temperatures of 23F to 100 F. These flowers can be dried for floral arrangements. Invasive? Technically yes. Beautiful? Yes. Many homeowners plant Queen Anne’s lace in their gardens to fill it out. It’s like the baby’s breath of gardens. These flowers have over 60 species. The buttercup is one of the species of the ranunculus. Other species come in a variety of colors such as orange, pink, white, red and also purple. These flowers are known for their bulbous and closely formed peals. They grow under the full sun, and they need well-drained soil. Besides, they bloom in early spring to mid-summer. Ranunculus are good for cut flowers. There are about 1,000 species of Rhododendrons. They are a very popular flower for backyard gardens in several parts of the world including North America. Roses come in over a hundred species. These flowers are the most categorized as a result of their trailing stems which have sharp prickles. This type of flower varies in both shape and size. They, however, come in a variety of colors that range from blue, white, red, pink, yellow and orange. As a result of the many species that roses have, they hybridize easily which allows gardeners to explore more than one variety. They require full sun to grow and also soil that is well drained. Roses bloom in late spring to early fall and are good for cut flowers. Snapdragons have a mouth like petals which makes them very popular. Their petals can open and close when they are pressed gently between the fingers. This flower has a very short lifespan, but despite this, they make extremely beautiful bouquets and indoor arrangements. Snapdragons grow under full sun and in well-drained soils. They bloom in mid-summer to mid fall and are about one to 3.5 feet tall. Sunflowers are easily recognizable for their tall stalks and their bright yellow petals. These flowers are all-time classic wildflowers and do not have a wide variety of colors as other flowers do. They are mostly found in yellow, but sometimes they can have orange and red shades. Sunflowers grow in well-drained soil and under the full sun. They bloom in early summer to early fall. These grow in colder zones and bloom in late winter to early spring. They do well in full sun and in the well-drained alkaline soil. Tulips are known for their bright, bulbous flowers and very elegant stems. They come in about 75 species, and they produce a single flower in every stem. These flowers come in a dazzling variety of colors such as red, pink and violet. They make very elegant and beautiful bouquets in the house. Tulips require well-drained soils to grow, and they do well under the full sun. These flowers bloom in the spring season. There are many types of Verbena flowers (250+ species). They come in many colors. Click the link above to learn all you need to know about this flower and the most common types. Wisteria, while a street in the popular TV show Desperate Housewives, is also a lovely vine-like flower. Violets are perennials. They come in shades of peach and pale violet. These flowers cover the ground with their foliage. They bloom once in the spring or summer, and then they re-bloom in early fall. Violets require well-drained soils to grow. They do well in full sun or partial shade. They are non-invasive. A good way to plan and design a flower garden is by color. Below we set out incredible galleries organized by flower color. In this section we provide access to our galleries that organize flower and plants by their first letter of the common name. If you’d like to further filter your search for flowers and plants, check out our entire plant and flower directory here.